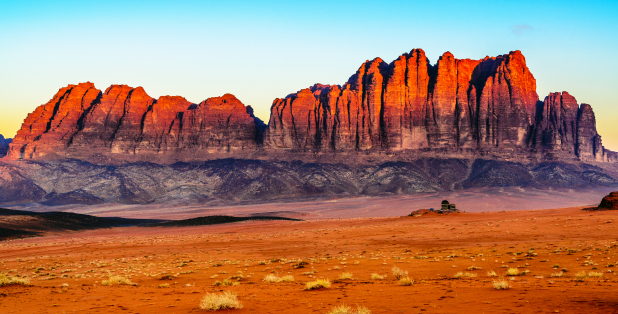 From trekking through the desert, to camping under starry skies and exploring the sights of ancient Petra, this hiking challenge is not to be missed. 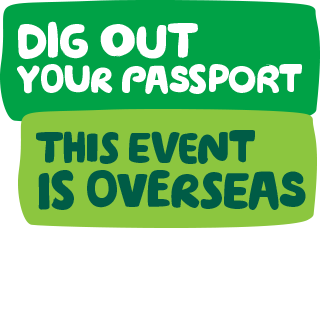 If you're interested in signing up, and would like to speak with someone about the challenge or how to reach your fundraising pledge, please call us on 0300 100 0200 or email overseas@macmillan.org.uk. A full day to relax and enjoy scenic Dead Sea coast. The Dead Sea is at least 8 times saltier than the ocean, which means you can float without any support - too good an opportunity to miss! Most importantly, by taking part in this challenge you’ll be helping people with cancer live life as fully as they can. Sign up today and pledge to fundraise £3,550 to help people with cancer live life as fully as they can. When does the trek take place? The trek will take place from Sunday 27 October to Monday 4 November 2019. Simply sign up online with Discover Adventure and pay your non-refundable £300 registration fee. We will then be in touch after receiving your registration and will send you a fundraising pack in the post. We will need to have received your first instalment, of £1,675 by Thursday 27 June 2019 in order to cover the costs of your trip and confirm your place. How can I reach the fundraising target? We know £3,550 is a big fundraising target but with a bit of planning it’s achievable. We’d recommend starting off by creating a JustGiving fundraising page and sharing this with family, friends and colleagues. You’ll then need to think of some events that you can organise to help you bring in some additional funds: quiz nights, cake sales and dinner parties are some of our previous supporter’s ideas. When do I have to pay my sponsorship by? You will need to raise a minimum of £3,550 in total. 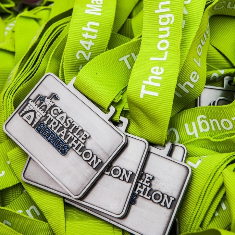 However, Macmillan Cancer Support must receive £1,675 by Thursday 27 June 2019 in order to confirm your place on the challenge. The remainder of your fundraising, must be with us within one month of the event taking place (Wednesday 4 December 2019). How much will it cost Macmillan? The first £1,675 of sponsorship will be paid by Macmillan on your behalf to our tour operator, Discover Adventure, to cover the costs of your participation. At least 60% of the £3,550 minimum sponsorship will be treated as a donation to Macmillan. If you raise over £3,550, 100% of the surplus will directly benefit Macmillan. Macmillan is proud to have one of the best cost:income ratios in the sector, meaning more of your hard earned sponsorship is spent on our vital services and not on trip costs. What if I can’t raise the minimum sponsorship? We will provide you with a fundraising pack full of ideas on how to reach your target. You will also have the support of the Challenge Team and our extensive network of Macmillan fundraisers throughout the UK. Please see the FAQ above on ‘How can I reach the fundraising target’ for some ideas. However, if you do not manage to raise £1,675 four months prior to departure you will either have to forfeit your place on the challenge or make up the shortfall yourself. You’ll have until one month after the challenge to pay in the remainder of your fundraising. This trip is conceived and operated by Discover Adventure Ltd, ATOL 5636, whose booking conditions apply. Return flights London – Amman. All food other than meal exclusions detailed in the itinerary. Full support with local guides, porters, cooks, Discover Adventure leaders and doctors. Personal Travel Insurance. However, if you want to, you can purchase this from our tour operator, Discover Adventure who offer insurance specifically created to cover you for the activity you will be undertaking. Some meals are not included and these are detailed on the itinerary. A discretionary tip for the local guides, drivers and cooks. We also recommend around £150-£200 for personal expenses. What sort of person takes part? The group will be made up of around 40 people, both men and women from all backgrounds, abilities and ages, although you must be over 18 to take part. Whilst some take part with friends, most people come on their own, so it’s a great way of meeting new people. You will find that the group quickly bond and upport each other throughout the challenge. What will the hiking be like? This trek is graded by Discover Adventure and has been awarded a rating of 2. The rating system is from 1 (moderate) to 5 (extreme). The main challenges lie in the arid, hot conditions on the flat and the steep rocky trails in the mountainous terrain. There are some relatively steep drops, vertigo sufferers will find these short sections more challenging than others. Where will we stay while hiking? Apart from the first and last night which is in a hotel, camps are supplied with two-man expedition-style tents, chairs, tables, dining tents and fabulous views! The hotels at the beginning and end of the trip are basic but comfortable and clean – providing a welcome night sleep after a long flight and at the end of your trek. Rooms are on a twin-share basis throughout the trip. Our challenges are designed to suit people of average fitness. However, this is a challenging trek due to terrain, climate and some long days so if you do not already walk on a regular basis, you will need to commit to some considerable training during the preceding months. We will provide you with a full training plan to help with your preparation. Do I have to carry my own kit? Throughout the trek, we will be accompanied by porters who will carry all our equipment and supplies. You will carry a day pack to hold any equipment you might need during the day. Everyone on the challenge is required to complete a medical form and return this directly to Discover Adventure. If you are over 65, answer ‘yes’ to any of the questions or have a BMI of 35+ the form must also be signed by your GP. Individual surgeries may charge for this service. It is also essential for you to consult your doctor about necessary vaccinations. A 10-year passport is essential, valid for at least six months after departure from Petra. UK citizens require a visa. Please contact your GP or travel clinic for advice on vaccinations. Can I offset my carbon footprint? One of the key determining criteria Macmillan looks for when selecting a tour operator to organise our events is a demonstrable appreciation of environmental concerns. Our tour operator Discover Adventure has links with 'Climate Care', a service that enables participants to neutralise the carbon emissions caused by taking long-haul flights. For full details of how to offset your carbon emissions visit the Discover Adventure website. If you have any further questions, please contact us by calling 0300 1000 200 or emailing hiking@macmillan.org.uk. How do I convince my friends that it is not a holiday? While you are sure to have an incredible time on the challenge, our challenges can never be described as holidays. You will need to spend months training and fundraising, before undertaking a demanding physical challenge. The days on the challenge will be long, facilities will be basic and the conditions tough. All of this takes time, effort, dedication and commitment and is far from just a holiday. Fly from London to Amman. Arrive and transfer to hotel in the centre of town. Night hotel. After an early breakfast and detailed trip briefing, we drive south to the small village of Dana. The village lies within a diverse nature reserve, with mountains, valleys and desert. Our trek starts from the village, where we begin our descent along a twisting track to the desert floor (approx. 250m above sea level). We pass through different eco-systems with a variety of flora and fauna, eventually reaching our campsite on the desert floor next to the ruins of Feinan, an ancient Byzantine church dating back to 4000 BC. Night camp. We wake early and after a good breakfast, load up the equipment and set off on our day’s trek. Our route takes us across hamada, rough stony desert, with beautiful jagged mountains rising to 1400m to the east. The morning’s route takes us around several small hills before we head out into open desert towards Wadi Barwaz, which lies at the foot of the mountains, for lunch. Wadi is the name given to a dried-up river bed, a regular feature in this dry landscape. After lunch and a brief rest we head south-west into the desert. We gradually descend towards Wadi Araba, first crossing hamada and then an area of small sand dunes. The views are awe-inspiring and we gain a true sense of the wonderful desert landscape, but it is hard-going at times and hot work. We camp again under amazingly clear, starry night skies. Night camp. Today we leave the flat hamada behind and head into the mountains, where we hope to be met with shade and a welcome breeze. A gradual ascent across stony desert brings us to the foot of the mountains, and from here a steeper ascent across small boulders and rocks brings us to a steep and twisty track. We follow this high into the mountains: a particularly challenging section. This is a remote but beautiful region with spectacular views into the desert. After a break for lunch, we continue up the steep climb, with breath-taking views into the heart of these stunning mountains. We then follow a steep, narrow track which winds its way down to the river valley. The scenery constantly changes as we climb and descend, surrounded by dramatic red cliffs and rocks. A short and well-earned flat section takes us through the beautiful Sakakin canyon before a more gradual ascent to camp above the river. Night camp. We leave camp behind us and enjoy a pleasant walk back through the Sakakin canyon. Our route then becomes tougher as we gradually climb back up into the mountains. This trail is used by the Bedouin as they move their animals from the desert to the higher and cooler regions for the summer. The views are magnificent. Our route is tough, with some steep climbs and rocky descents as we trek around the mountainsides, but the rewards are superb. Eventually we climb up to a pass, where we have tremendous views across the rounded moonscape-like rocks and cliffs, and the desert beyond. We descend to the river valley and continue among incredible eroded rock formations to Shkaret Msei’d, where we camp in a near a Nabatean wine press. This is a tough but outstanding day in some challenging terrain. Night camp. After another night under the stars, we head downhill from the mountains into hills and the desert landscapes surrounding the ancient site of Little Petra. Our route follows a bendy path which is at times relatively gentle and easy-going underfoot, though there are some steep, rocky sections. We emerge from a narrow canyon into sand-dunes, crossing them between eroded cliffs, we arrive amongst temples and sandstone formations of the site itself. These ruins are some of the oldest in the Middle East, dating back 9000 years. We tour the site before continuing to weave our way through the rocky valleys to the permanent camp set amongst the rock formations which is our home for tonight – with showers, electricity and proper beds in cabin-like tents, this feels like a well-earned luxury. Night camp. Today is what we have all been waiting for: the trek into Petra itself. The huge tombs and buildings of Petra, carved out of the rock, are testament to the one-time wealth of the ancient capital of the Nabateans, which provided refuge to caravans of traders crossing the deserts. Our little-trodden route takes us up through a rocky canyon and along series of steps, with spectacular views once more, before trekking around the mountainside and through sandy desert. We finally see the Monastery, an impressive carved building standing 43m high and 50m wide, and one of the highlights of Petra. We continue on our guided trek to the centre of Petra, descending roughly 800 rock-hewn steps, and admiring the incredible ruins and tombs, before arriving at the Treasury, the most famous and impressive sight at Petra. We then walk out through the famous narrow As-Siq to the conventional entrance, where our waiting transport takes us off to the Dead Sea coast for two nights of relaxation! Night hotel. A full day to relax and enjoy the scenic Dead Sea coast. The Dead Sea is at least 8 times saltier than the ocean, and having a relaxing float in the salty waters is too good an opportunity to miss! We meet up again in the evening for a big celebration to mark our achievements. Night hotel. Drive to Amman (approx. 1 hour) for our return flight back to London. Discover Adventure reserves the right to change the route or itinerary for safety reasons should local conditions dictate. "I loved the camaraderie in the group and I couldn't have asked for a better group of people."